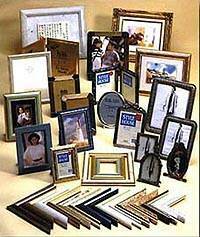 Since 1982,we,as a leading manufacturer and exporter of photo & picture frame in Korea, have a good reputation together with quality & price from overseas buyers. We are specialized in Green Wood, aluminium,brass,wooden pewter frame and polystone including moulder for frame. As a result of the best for exporting,we were awarded chairman's prize(KITA), the prize of exporting tower in 1995. We have tried to expand our market to main country and we are currently dealing with buyers of U.S.A, Canada,Japan and Europe. Especially,there are designs over 5,000 styles and excellent design technique and we can make environmental-friendly resin frame like wooden looking. If you are interested in our goods, please contact us at anytime. And then we will do our best for serving you regarding all of needs. Metal Div. : Tools Div.-Press Div.-Extrusion Div.-Polish Div.-Coating Div. (Lacquer, Urethane & Powder)-Assembly & Packing Div. Plastic Div. : Tools Div.-Extrusion Div.-Coating Div. (Lacquer & Hot stamping)-Assembly & Packing Div. Wooden Div. : Tools Div-Molding Div.-Polish Div.-Coating Div. (Lacquer & Urethane)-Assembly & Packing Div. Technical and Quality Inspection Div. Trade Div.-Design Div.-Material Div.-Planning Div.-Domestic Div.